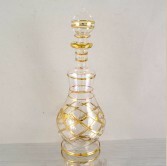 Handmade Egyptian Glass bottles made finest thin glass and shaped under high temperature to produce a state of the art glass bottles. 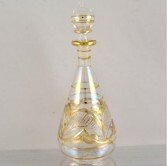 The Egyptian glass bottles are then engraved by our skilled artists, colored with natural durable colors and lined with pure gold. 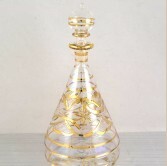 Egyptian Handmade Glass perfume bottle. 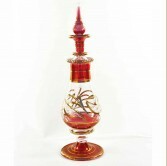 Height: 15 cm Comes in variety of Colors includin.. 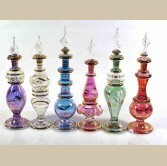 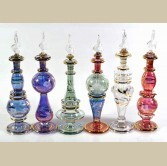 This set of 6 pieces of small perfume bottle comes as an additon to yout decorations. 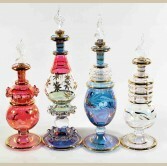 Each .. 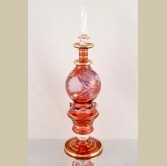 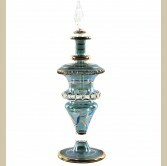 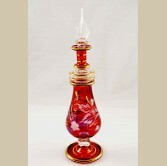 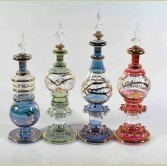 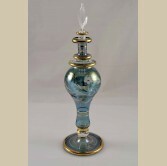 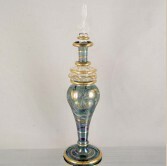 Authentic Blown glass perfume bottle. 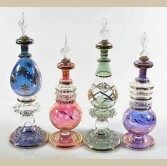 Hand engraved and coloured by our expert craftsmen Size.. 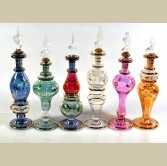 Authentic Blown glass perfume bottle. 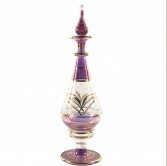 Hand engraved and coloured by our expert craftsmen Siz:.. 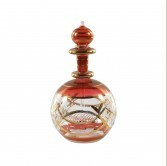 Authentic Hand blown Egyptian glass bottle, Hand engraved and coloured with accuracy the same way..
Hand blown, engraved and Coloured Glass perfume bottle. 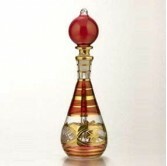 Size: appox. 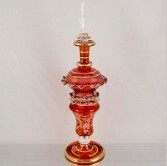 25cm (H) X 11cm (W) ..